This is a guest post by Ryan Ruud of Lake One Digital. Ryan talks about an issue all agencies care about: getting sales and marketing to work together. Yes, there is a value in all the work and strategy we do for organizations. They are getting marketing at scale without having to hire a whole bunch of folks. But what really matters, what really makes me excited and wins long lasting relationships - is when our marketing team is aligned with our client’s sales initiatives. Why? Because companies with sales and marketing alignment are 67% better at closing deals and drive 209% more revenue. As a marketing vendor, we have an opportunity to get our clients excited about alignment when it can drive real, measurable revenue impacts. Here’s how to get clients on board and excited about sales and marketing alignment with their marketing services vendor. The most obvious reason to align your marketing services with your client’s sales is that it creates stronger client relationships. But that’s selfish to the agency. Strong alignment between sales and marketing creates a great customer experience for your client as well. According to LinkedIn research, 58% of aligned teams say sales and marketing alignment improves customer retention, and a key driver of retention is experience. When revenue targets aren’t achieved, the blame game starts. If you’re not aligned with your client’s sales teams from the get go, it’s easy for sales and marketing to quickly start pointing fingers. The real problem might very likely be the lack of alignment in the first place. According to Kapost, misaligned sales and marketing teams can cost companies 10% of revenue every year. Overall, having your client’s sales and agency marketing teams aligned eliminates communication problems that can lead to issues like pricing errors. Sales might have no idea what kind of content marketing has been creating that could help reduce the length of the sales cycle. While content can help attract prospective buyers, it’s often useful at moving those along who are already active in a sales cycle as well. Finally, sales is the front line. They see the quality of the leads and they hear the challenges of prospective buyers. That’s gold to an agency marketing team. If sales and marketing are aligned, there is a feedback loop that can flow into the marketing program that’s attracting leads and qualifying them creating higher value opportunities for sales organizations. Every client is different, every industry is different and every marketing services offering is different. Tailoring exactly what you do to drive alignment between your marketing team and your client’s sales team is critical. But we’ve found three key elements in every alignment effort across client types. 61% of B2B marketers send all leads directly to sales - but only 27% of those leads will ever be qualified. No wonder sales gets mad about the leads they’re getting. Get you client’s sales team on the same page about what a qualified lead is. This is critical. If you aren’t in the B2B space, get your client team on the same page about the lowest point in the conversion funnel. Is it a cart checkout on ecommerce? Is it an email subscriber? Whatever it is clearly define and document what marketing is striving to do. Unless you’re in B2C, marketers are often limited at taking their activity all the way through to a transaction so it’s critical to get as far in the process as possible and get an agreement on what the hand off point looks like. Surprisingly, only about 50% of companies say sales and marketing have a formal definition of a qualified lead. Alignment, drives confidence. Once you have reached agreement on your goals, it’s time to document the rest of the expectations in the sales and marketing process. What the expectation is of sales in regards to lead follow up and qualification. Additionally you can include goals for lead volume, definitions around lead management - anything that is needed for your teams to be on the same page. Finally, there always needs to be a feedback loop between sales and marketing. This is where marketing gets information on lead quality and sales can learn about additional resources coming from your agency team. Depending on your client relationship this can be a regular sales and marketing meeting. It can also be a digital space such as a project management tool with regular touchpoints and communication. If you have marketing automation or CRM tools, using fields and properties to capture real time insights on lead rejection can also help your agency team adapt more quickly. Once you’re aligned with your client’s sales team, measurement is key. But what’s the best way to measure alignment between sales and marketing? There are several metrics that can be tracked and ultimately which ones you hone in on will depend on the goals you set with your client’s sales team in your SLA setting workshops. At the end of the day, is revenue moving forward? This is also the one that can get everyone the most excited since most sales teams are incentivized. If the work aligning sales and marketing starts to move the revenue number, sales tends to be pretty easy to work with. It may be worth tracking by source so you can adjust your marketing over time as revenue goals flux. Once everyone is on the same page about what a qualified lead actually is, tracking this volume can be crucial. Especially if you know the number you need to hit to provide sales with enough leads for them to hit their quota. How do you do that? Work backwards through the funnel. If you know sales need to make $1000 this month, and that’s equal to two deals and it usually takes talking to 5 good leads but only 20% of the MQLs get accepted by sales (Sales Qualified Lead) you have a target: 25 MQLS. There are two things to look for here. How many of the leads are being accepted by your client and how many are getting sent back and why. These rejection insights can often unlock opportunities in content or targeting to improve funnel performance. This metric will allow you to see how successfully your client’s sales team is closing the qualified leads they are receiving. This can vary wildly depending on the source of the lead. For example a referral can average a 14.7% SQL/Customer win rate versus a lead list at .9%. 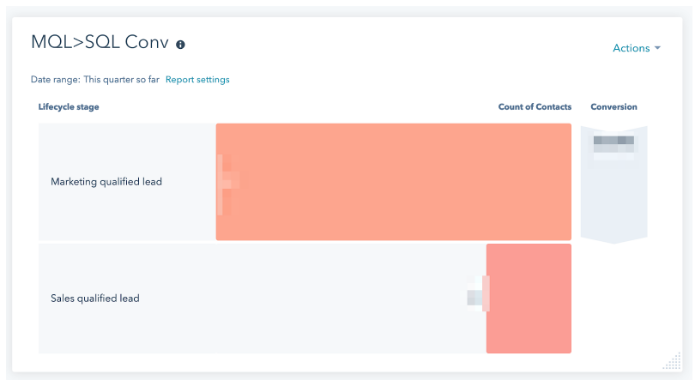 Tracking this but also digging to see why a lead stops responding to sales, positions your agency team to support even further in the funnel then just attracting the opportunity. If you can increase these conversion numbers with additional content or nurturing, everyone wins. The average B2B sales cycle can last more than half a year. If your agency is well aligned with your client’s sales team, the content and marketing continues to get more and more focused, helping your sales team shorten their sales cycle. A shorter sales cycle means more revenue, which means more incentives, which means a happier more excited client team. So you’ve gone through all the steps to get your client’s sales team and your own agency marketing team aligned. Now how do you kick it off and make sure everyone is excited today and stays excited through the quarter and every quarter after? If you can, host a kick off party. Bring in lunch for your client team as you walk through the agreement you’ve all made and set the expectations for how the work will be driven and teams will be held accountable. One of the biggest problems between marketing and sales whether in-house or a collaboration between in house and outside resources is that it’s an us vs them mentality. The two teams need to build trust and camaraderie with each other knowing that together they are responsible for revenue. As an external marketing vendor, acknowledge that and take the lead showing you desire to be a long term partner. Once you’ve kicked off, make sure to set up regular touchpoints to review progress and gather feedback. Keep these meetings highly structured so they are productive and not a waste of time. Finding alignment between your marketing team and the client’s sales team makes for happier clients and stronger relationships. Moreover, it helps clients serve their own customers better, leading to repeat business and more long-term partnerships. 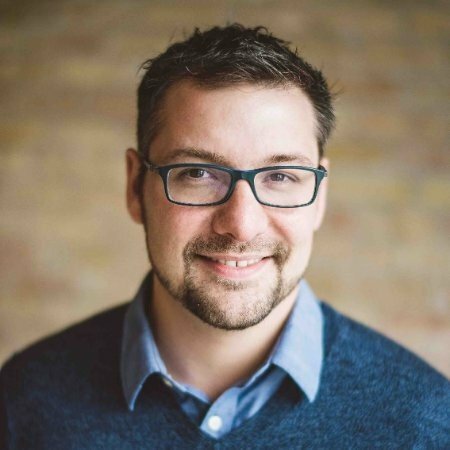 Ryan is the Founder & CEO of Lake One, a Minneapolis, MN-based digital marketing agency. Lake One helps organizations find traction by planning, building and executing modern programs that align sales and marketing to drive growth.